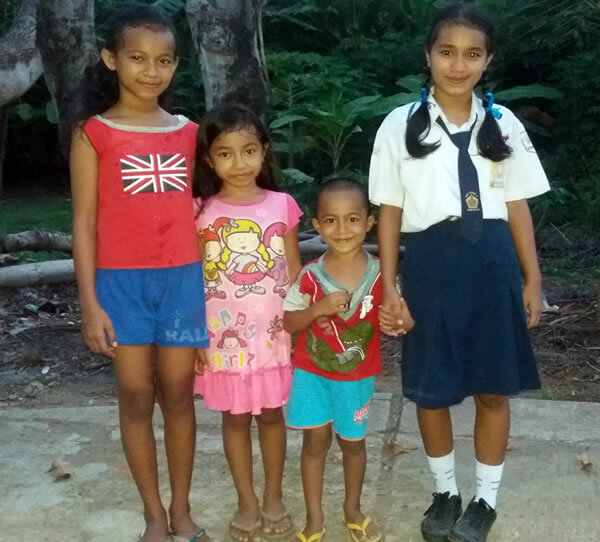 children from remote villages here in Bali, Indonesia. After 12 years of living in the Indonesian and Balinese cultures I firmly believe that education is the key to a better life ... it enlightens the children and broadens the choices they can make. This is especially true for the girls from rural villages. Influenced by the Hindu religion that honors their parent’s sons, it breeds in the young girls an attitude of inferiority and limitation. 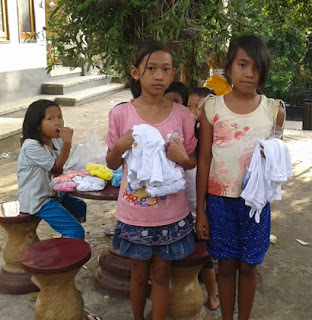 These children's families or caregivers cannot afford the uniforms, shoes. And school fees needed to continue their child's education for the next school year beginning in mid-July, 2016. We have already started visiting prospective children and observing their living conditions and assessing their needs for assistance. 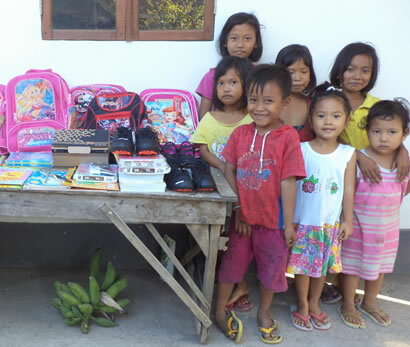 Most of the 39 children we have been supporting will continue to receive new school shoes, sox, backpacks, notebooks, pencils and funds for books at the start of the new school year from us. Since Government schools require tuition fees for Junior High and Senior High school kiddos, AHFC will also pay for their monthly school fees; generally $8.00 - $15.00 per student. When the children start Kindergarten, Elementary, Jr. High and High School, they are required to wear their schools uniform. So far we have identified 5 children that will be needing assistance for new school uniforms. These uniforms consist of 3 sets of pants, skirts, shorts and buttoned monogrammed shirts. Ties, belts and elementary school children's hats are an additional expense. Costs range between $55 and $80.00 for each child... depending on their grade level. School clothing and supplies are relatively inexpensive. A pair of new black tennis shoe style school shoes are approx. $15.00. Backpacks cost an average of $12.00. To avoid unwanted attention from aggressive boys and male teachers, for which there is a history in this 3rd world country....... adequate undergarments for the girls have proven to be a necessity. We will be furnishing bras, mini sets (training bras) when needed, also half slips and underpants for every female student. The children's needs are not enormous ones and we are praying that those needs will be met. Many of us have truly been blessed with the resources and comforts we've grown accustomed to. Our hope is a few are willing to share with these beautiful, yet isolated children during this particular time of need. We promise to do our part, to meet with each child and provide the necessities and loving arms… that you make possible. 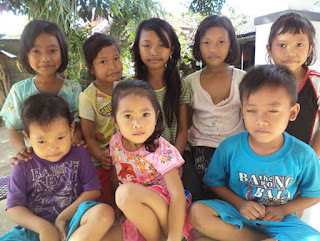 Please visit our web site - aheartforchildren.org, and click on How to Help. Please know that no one at A Heart For Children receives a salary or compensation of any kind. We are an all volunteer USA 501 (c) (3) Public Charity. 100% of all donations to AHFC goes directly to the children and widows we support.